To learn more about Bishop Yemba, follow the links below. United Methodist Bishop David Kekumba Yemba is Africa University’s Chancellor and Chairman of its Board of Directors. Bishop Yemba, who serves as Episcopal leader of the Central Congo Area of the United Methodist Church, was chosen as Africa University’s third Chancellor in December 2008. The bishop’s association with Africa University began in 1991 when he was appointed as the founding dean of the Faculty of Theology. He was the institution’s first international staff member and served the faculty for more than 13 years. Bishop Yemba resigned from Africa University following his election as a United Methodist bishop in 2005. As the chief administrator of the United Methodist Church in Central Congo, an area that encompasses six annual conferences, Yemba has brought significant experience to the role of Chancellor and Board Chairperson. A native of the Democratic Republic of Congo, Yemba began his professional life and ministry in 1970 as Chaplain of the United Methodist Secondary School at Katubwe in Kasai Province. Bishop Yemba attended the Free University of the Congo in the Oriental Province and graduated in 1970 with a License in Theology, with distinction. In 1978, he was awarded his PhD, specializing in Protestant Theology, from the University of Strasbourg in France. He joined the academia in 1972 and served in numerous capacities at higher education institutions in the Congo, attaining a professorship with the Protestant University of the Congo in 1990. Yemba later became head of that university—a role he served in until his appointment to the faculty at Africa University in 1991. 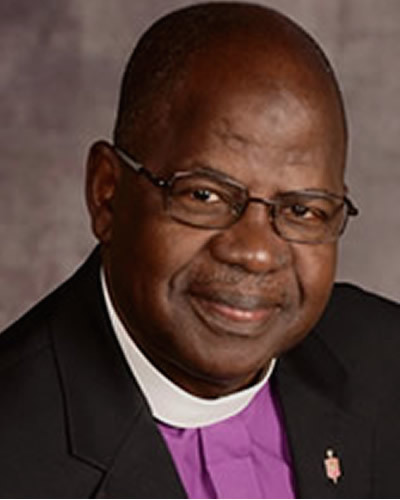 Bishop Yemba’s service in ecumenical circles includes his appointment as Moderator of the Faith and Order Commission of the World Council of Churches in 1998. Currently, he serves as Vice President of the All Africa Conference of Churches (AACC) and he chairs the AACC’s Permanent Committee of Church Members. Yemba is widely published in the area of Systematic Theology and Ecumenical Studies and he is a member of both the Ecumenical Association of African Theologians and the Ecumenical Association of Third World Theologians. Yemba and his wife, Henriette, have five children and four grandchildren.